THE HAGUE – The Second Chamber of the Dutch Parliament on Wednesday asked for an update on the incarceration and pending extradition of St. Maarten-Italian casino owner Francesco Corallo to Italy. Member of the Second Chamber Ronald van Raak of the Socialist Party (SP) made a request during Wednesday’s procedural meeting of Parliament’s Permanent Committee for Kingdom Relations to seek clarity from the Dutch Government on Corallo’s status of detention and extradition. 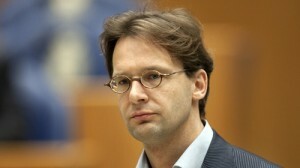 Van Raak asked for a letter from Dutch Minister of Home Affairs and Kingdom Relations Ronald Plasterk. The Committee approved his request and sent a letter to the Minister the same day in which it asked to be informed of Corallo’s current whereabouts, the next steps in the extradition process and the expected date of extradition. “Corallo was arrested in December last year for fraud and bribery involving the party of Silvio Berlusconi and with possible links to Dutch banks and accountancy firms. It is unclear where Corallo is locked up, in a police cell or possibly somewhere else. I want to know where he is detained, how the extradition process is proceeding and when he will be extradited,” said Van Raak. During the meeting, the Member of Parliament (MP) also extended “many congratulations” to Plasterk to have a General Measure of the Kingdom Government AMvRB imposed in relation to the Curaçao elections and the St. Maarten Integrity Chamber. Van Raak commended the Minister for his “brave, determined approach to safeguard the democracy, rule of law and good governance.” Last Friday, the Kingdom Council of Ministers approved a proposal of Minister Plasterk to order the establishing of the St. Maarten Integrity Chamber. One week earlier, the Kingdom Government decided to transfer the authority of organising elections to the Curaçao Governor.